The lappet-faced vulture can be found in the habitat just west of the guanacos from April through September. 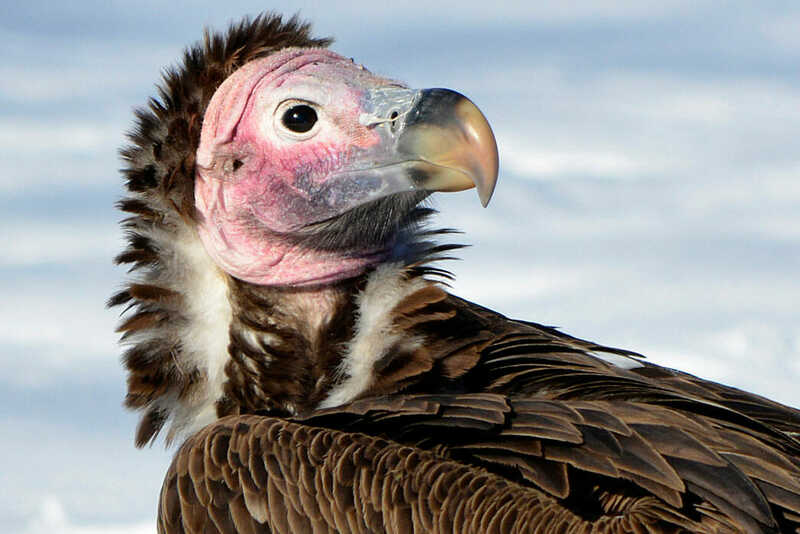 Lappet-faced vultures are large birds with heavy bald heads and massive brown bills. They have mainly dark feathers and are easily identified by their bare pink heads and large, fleshy lappets (folds of skin) on the sides of their necks. Lappet-faced vultures have white feathers on their legs. Lappet-faced vultures are able to strip a small antelope carcass to the bone within 20 minutes.